Have your cake, and eat it, too with It Works Fat Fighters! The Fat Fighters are one of It Works! most popular supplements and if you looked in my purse you would most certainly find a bottle. I love to eat out a lot, so having my fat fighters with me helps me maintain a healthy weight while keeping up with my social life. As a mom, we don’t always have time to eat perfectly so this definitely helps if we need to get that extra to maintain or lose weight. This is a great sister product to the Ultimate Thermofit. Powered by NeOpuntia™ (a naturally based ingredient made from the “prickly pear” cactus ) and the It Works! proprietary blend, Advanced Formula Fat Fighter delivers dynamic, clinically tested results for both men and women. The Fat Fighters will work with any diet. On any diet you still have to eat. So why not help yourself out and reduce the fat and carb intake that your food has? Good bye guilt and hello fat fighters! Blocks some of the fat & carbs from meals -goodbye guilt! The It Works Fat Fighter works to absorb some of the fat you eat in a heavy carb meal by inhibiting some of the carbs from being stored as fat. The Fat Fighter has a perfect combination of natural ingredients that work together to stop those carbs before they turn into fat! 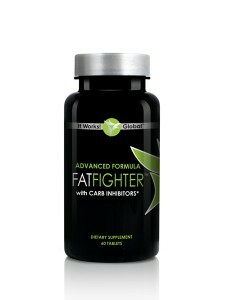 Take 2 Fat Fighters about 15-60 minutes after a heavy meal. For even better results, check out Ultimate Thermofit as well!